The average price for this game since released is $33.24. The game first became 50% off on Jul 21, 2014 at GameStop. Lowest historic price was $12.48 on Sep 9, 2014 at GameFly. Solid 25% off discount spotted on NBA Live 14 for the PS4 and Xbox One next gen consoles. This makes it $4 cheaper than the best Black Friday price tag of $49. The average price for this game since released is $31.65. The game first became 50% off on May 12, 2014 at Microsoft. Lowest historic price was $6.99 on Nov 25, 2015 at GameFly. NBA 2K14 on the Xbox One in brand new condition ties its all time low in pre-owned condition today on the Microsoft Stores eBay outlet page. I know it's a year old, but scored slightly better on Metacritic than this years NBA 2K15. Microsoft Store has a new price drop on NBA 2K14 on Xbox One and 360 for $30 with free shipping. Lowest price we've ever seen by $7 and $10 off next best price. Next best price online is $40 at Amazon. Want a copy of NBA 2K14 for both the Xbox 360 and the Xbox One? Today Microsoft dropped the price of this NBA 2K14 "Super Fan Pack" to $37.12, which is $62.87 off the usual $99.99 they charge. The pack includes the Xbox One and Xbox 360 download codes. The average price for this game since released is $37.32. The game first became 50% off on Nov 13, 2014 at GameFly. Lowest historic price was $5.99 on Nov 25, 2015 at GameFly. Next weeks release, NBA 2K14 launches on Tuesday of next week. At Best Buy you can preorder online and pickup at your local story anytime (or get it shipped for free). Preorders at BB get the "King James" DLC pack which includes LeBron's "signature move" (whatever that means), $10 in Rewards Certificates for Best Buy rewards members, and PS3 buyers get $10 off a PSN 1 year subscription if they add that to card along w/ NBA 2k14. The average price for this game since released is $41.33. The game first became 50% off on Nov 23, 2012 at Walmart. Lowest historic price was $4.99 on Nov 25, 2015 at GameFly. Nice price drop on yesterday's release of NBA 2K13 at Overstock.com. The PS3 version is now $45 + $3 shipping (Xbox 360 not offered at this price unfortunately). Two other good offers also linked on the deal page: Kmart for $60 + $15 gift card and NewEgg $60 + $10 gift card. Best deal on today's release of NBA 2K13 for Xbox 360 and PS3 is Kmart for full price + $15 Award Card (gift card). NewEgg has the next best offer at list + $10 gift card. The average price for this game since released is $37.03. The game first became 50% off on Nov 13, 2014 at GameFly. Lowest historic price was $9.99 on Nov 13, 2014 at GameFly. The average price for this game since released is $14.09. The game first became 50% off on Nov 30, 2013 at Green Man Gaming. Lowest historic price was $5.62 on May 9, 2014 at Green Man Gaming. NBA 2K14 hits lowest ever price of only $5.62 at GMG via GMG's special 25% off coupon (celebrating GMG's 4th anniversary). The last time it was near $6 was almost 5 months ago during last year's holiday season sale. Great deal on NBA 2K14 for the Steam-activated version. At $6, it's the cheapest it's ever been. Nearly all download sites are charging full list price. Steam Store is at $20. Expiring soon. NBA 2K14 is only $12 at GMG during their 4 hour flash sale. Steam key. Currently the lowest ever price (usually $20+). NBA 2K14 hits the $22.50 price point again, tying lowest ever for the popular basketball franchise from 2K Sports. Steam key. Reviews are slightly on the mixed side of things as it appears to be mostly a roster update, but if that's what you're looking for then the $22.50 on PC is way cheaper than the full $60 on next-gen versions. NBA 2K14's big launch was yesterday. Green Man Gamings 25% preorder coupon code is still discounting the game down to $22.50. This discount could still be working because Steam hasn't put the game up yet on their DRM service and you won't be able to play until they do so. Not sure what the delay is. The average price for this game since released is $16.91. The game first became 50% off on Dec 25, 2012 at Amazon. Lowest historic price was $4 on Dec 23, 2013 at Green Man Gaming. You know how it is. New game comes out, everything in the franchise goes on massive sale. NBA 2K13 for Steam is only $4 from GMG. 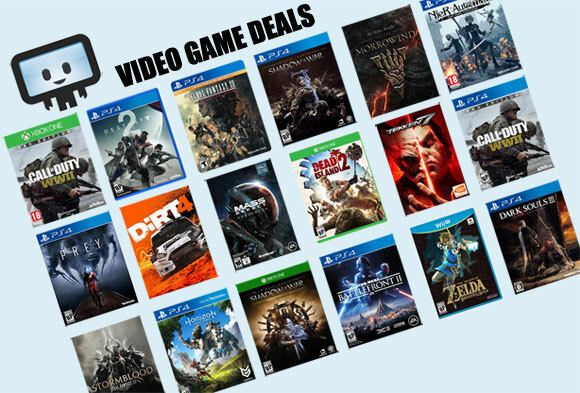 If you missed out on the June 11th Gamefly sale for NBA 2K13 for $6, GMG is matching the price and putting the EA Sports title on sale for this weekend. Not too bad a deal for a relatively decent installment in the series. NBA 2K13 PC download only $6 from Gamefly. Thanks to a coupon code that gives you a total savings of $24. Steam activated. Elsewhere the download is $30. Lowest price we've seen yet for NBA 2k13 for the Steam activated version. Usually at about $24, but it goes on big sale at $10 to $15 once in awhile. Now $8.95 at German game retailer GamesRocket. Hey, when a game's average price is around $24 just few weeks ago.. you can't complain at $9.60. This is probably one of the better bball game in recent time given reviews looks decent. Steam activated. So seeing a basketball game "starring Justin Bieber" doesn't seem all that promising. That the game claims Jay-Z as one of its executive producers should calm some nerves - but these things aside, how does the game stack up to previous entries in the NBA 2K series? Quite well, apparently. IGN gives the game a 9.1 and the IGN community at large gives it a 9.0. Aside from a dearth of explanation for the many features and moves available, this game meets and surpasses expectations for a basketball simulator. The pre-game intros employ Jay-Z music videos and baller gameplay footage to get you going in anticipation of play. If you're looking for a basketball game that's relatively realistic in its treatment of gameplay but just pure fun, you'll have trouble finding one better than NBA 2K13.